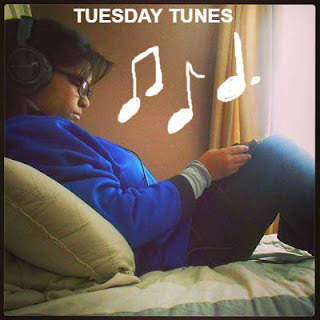 In honor of PRIDE month, I've decided to highlight LGBT+ artists each week on "Tuesday Tunes". (As a side note, if you know any asexual artists, please send them my way). So the first person I will be writing about is Heyley Kiyoko. Before last month I had never Heyley Kiyoko. Out of nowhere she appeared everywhere on my timeline on Twitter and Tumblr. I didn't really look into her, but all I knew was that she was an LGBT+ WOC and I was down with that. Then she came out with "What I Need" with Kehlani, who was featured on my last "Tuesday Tunes", and I decided it was time to give her a chance, and I'm really glad I did because it turns out I did know who she was. She played my favorite character on "Lemonade Mouth", Stella and I had no idea. Funny how things like that happen. My favorite song of hers so far is hands down "What I Need" with Kehlani. It's such a fun summer anthem with a nice techno pop beat. Her voice blends really with Kehlani's. The music video was also really great because it featured these two LGBT+ WOC in a relationship, and that is hardly ever present in mainstream music or media in general. You can listen to the song below. Overall I wish I had discovered her sooner because like I said before she played my favorite character from "Lemonade Mouth" and I definitely would have been supporting her sooner. Below is her new album release.